In 1997, after less than four years together, Mineral broke up. But while some bands simply fade away after calling it a day, that wasn’t the case for the Austin-based four-piece. In fact, it was quite the opposite – their legacy grew and grew. Not bad for a band who had just put out a handful of seven-inches and two studio albums, 1997’s debut The Power Of Failing and 1998’s posthumous EndSerenading. But then, in 2014, something remarkable and unexpected happened. Mineral got back together – something they said they’d never do – and played a whole bunch of shows, first in the US and then in Europe, Japan and Australia. Not only did that mean audiences were finally able to hear songs from EndSerenading in a live setting for the first time, but the band were also playing large (and sold out) venues rather than DIY basement shows and enjoying the kind of success that – despite signing to a major label – they never experienced the first time around. 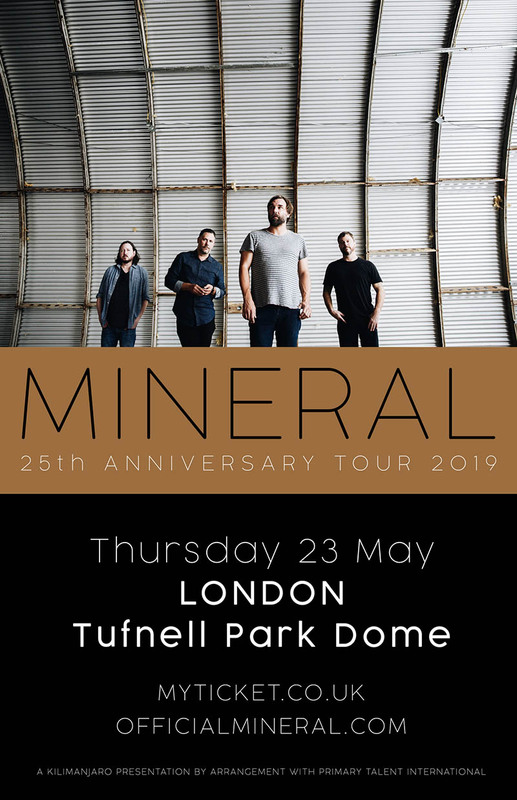 Now, on the 25th anniversary of the band’s existence, something else remarkable and unexpected has happened: for the first time in more than two decades, Mineral has written new music.